A Sales Ledger ensures that a company’s finances are kept in check, and that everything is invoiced properly. Duties include chasing outstanding debt, providing creditors with VAT receipts, running turnover statements and producing invoices. It’s an ideal start to a career for an ambitious person with both strong numeracy and communication skills. The role requires employees to keep track of finances, and to speak to clients to chase up outstanding invoices. Sales Ledger is also a great role for people looking to move up the career ladder, as many sales ledgers advance quite quickly through finance department of a company. If you think this type of role might be for you, take a look at our tips on making your job application as strong as possible. You need to demonstrate your skills in numeracy, communication and organisation, and that you have a strong eye for detail. On your application form, use examples of when you have utilised these skills in a similar role, highlighting a problem you have overcome. For example, you could write about when you dealt with a difficult client who had not paid their invoice, how you overcame the difficulty and then turned the situation around into a win for your business. Detailing how you would speak to the client will highlight your communication skills. You can also mention how you noticed why your client was having an issue paying, how you used your strong attentiveness, and how you created a repayment plan using your proficiency in numeracy. Coming up with a number of scenarios will mean that you have scope to talk about your skills relating to various different incidents. There are no set qualifications for the role, however the majority of employers will require a minimum of five GCSEs (including maths and English). Candidates with strong IT Skills will be high in demand, so if you have any IT qualifications, ensure you highlight them. Some experience with financial accounting software, such as Sage, Great Plains, Microsoft Dynamics and Excel will also help make your application stand out. If you have not had practice of these systems before, see if you can secure any work experience. Analytical thinkers are able to solve both complex and simple problems, and make logical decisions based on the information they have in front of them. Curiosity drives them, and they can easily grasp patterns, principles and structures. These can be problems you have faced in education, such as group work or large projects, unforeseen situations in work, or even experiences you have had in your personal life, such as a complaint from a neighbour. If you feel like you are suited to the role of sales ledger, you should use these tips when completing an application form, or amend your CV to ensure that these skills are included. 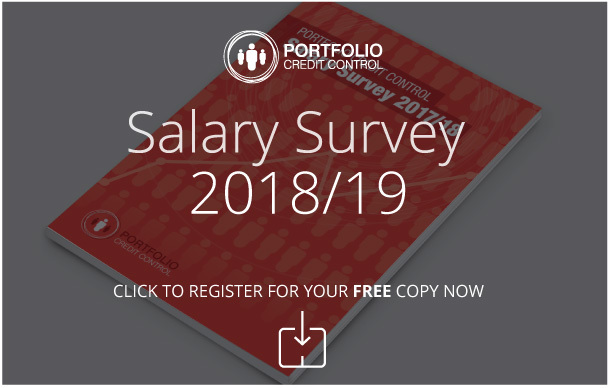 Search for Sales Ledger vacancies with Portfolio Credit Control and find the latest credit control news and opinion. Why not come in and see us? Our Central London offices are in a prestigious location near Liverpool Street.